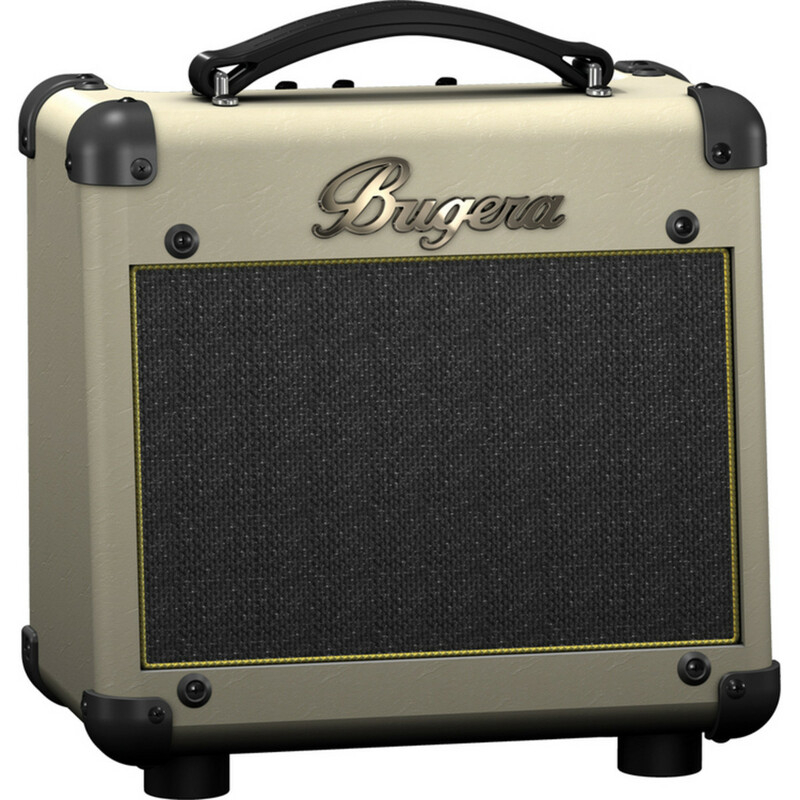 The Bugera BC15 Vintage Guitar Practice Amp delivers a stylish-retro appearance with classic tube preamp for incredibly balanced guitar tones. With a 12AX7 preamp tube, the amp offers balanced harmonics with natural compression for warm distortion and a smooth frequency response. The 30-watt guitar amp features 2-channels for creative sound-shaping and gives guitarists a variety of control options in regards to their sound. The BC15 is incredibly easy to use and includes an integrated headphone jack for guitarists wanting to practice in private. A built-in 1/4" TRS jack also allows users to connect a CD player, tape deck or MP3 player to play along with pre-recorded songs. With a 12AX7A tube, the BC15 guitar amp delivers maximum levels of gain and overall tonal quality representative of reliability and consistency. The tube preamp provides guitarists with an incredibly smooth and balanced frequency response. This balanced tone is full of sweet harmonics and warm distortive tones for a complete all-round performance. Whether you're looking for a thinner, more brittle sound or desire a warm performance with deeper ends, the BC15 is capable of providing you're preferred guitar tones. 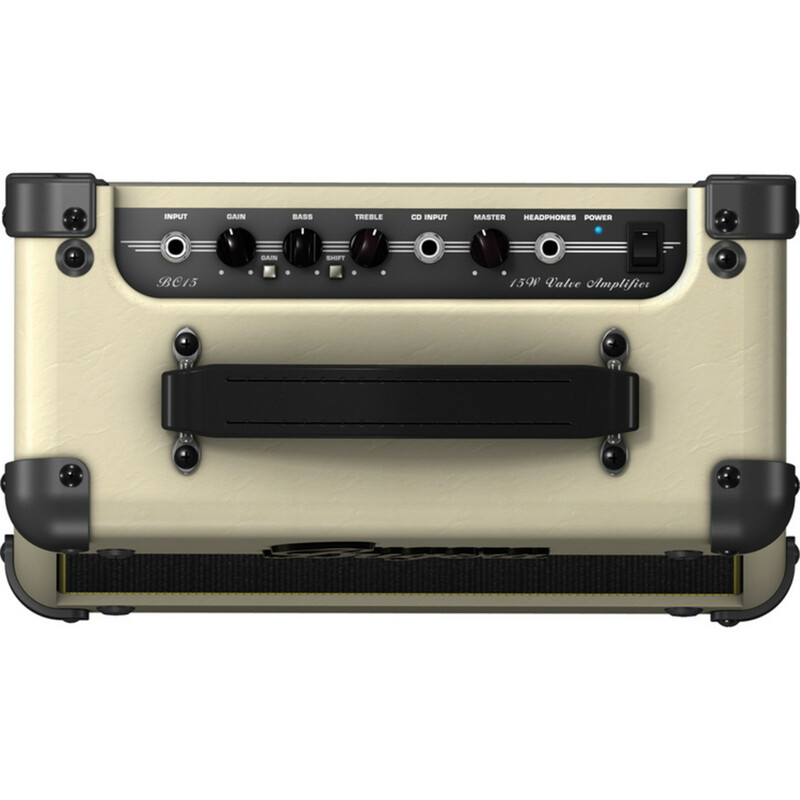 The dual-channel guitar combo amplifier features master volume control and 2-band EQ for a wide array of tonal options. The gain button switches between the lead or distortion channel, letting you change your sound instantly. 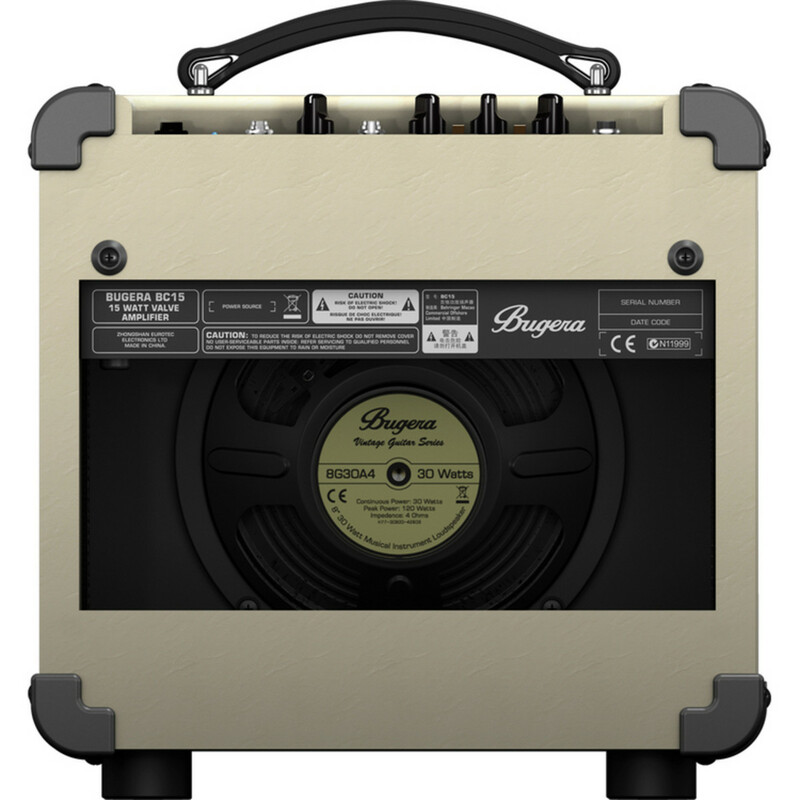 The BC15 lets guitarists to connect a CD player, tape deck or MP3 player with the integrated 1/4" TRS jack, allowing users to play along with pre-recorded songs. Should guitarists want some more privacy in their playing then they can simply plug-in their headphones for a quieter playing environment.